Within a few years of dropping nuclear bombs on Japanese cities, Americans were hungry for spiritual wisdom from Japan. The teachings they lapped up as Zen owed as much to interpreters as to ancient Asian ways. These mystical insights were no less enlightening, inspiring debates on transcendent experience and how to make sense of it. They also helped many, from dropouts to "squares", to find new meaning in the turbulence of life. But their beguiling suggestion of change in the social order petered out. Buddhism soon gave way to other trends, while quietly retaining a space in mainstream culture. The result is psychologised mindfulness, which discards most ritual aspects of tradition, but can still diminish human suffering. The answer was D.T. Suzuki, a Japanese scholar in his Eighties, whose books appealed to Western minds. Aldous Huxley had quoted one in his mescaline-fuelled Doors of Perception, revealing: "the Dharma-Body of the Buddha was the hedge at the bottom of the garden".5 Carl Gustav Jung composed a foreword for another.6 For most of the Fifties, Suzuki was living in New York, giving charismatic lectures at Columbia University. His following widened among psychoanalysts and the creative avant-garde, including John Cage, whose silent music he inspired. Snyder saw some merits in this process. "Zen aims at freedom but its practice is disciplined," he said, describing how stick-wielding men hit slouchers in the meditation hall.74 Striking a balance between freedom and form was Zen's big challenge, as one of its fiercest masters taught. Known as Rinzai to Japanese Buddhists, he was a 9th century Chinese iconoclast, and the founder of Suzuki's sect of Zen. Disdaining the "life of pleasures," he said: "do not fail to take advantage of the present life we are enjoying".75 If questioned about such enigmas, he might beat students with his staff, to snap them out of abstract thought. 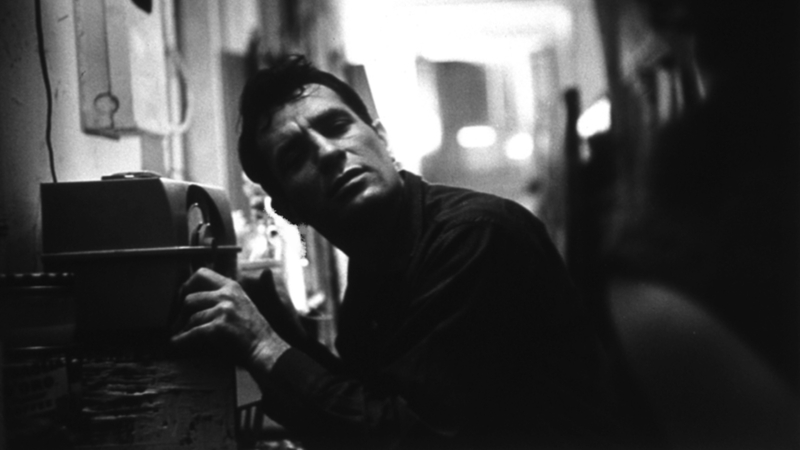 Kerouac mocked this behaviour, dismissing the paradoxes of koans as: "silly Zen masters throwing young kids in the mud because they can't answer their silly questions".76 Yet his character lacked the resolve to scale the mountain Japhy led him up;77 Ray turned back within sight of the summit and yelled: "too high!" Suzuki taught "real freedom" was to "see things in their suchness".81 Despite all his tortured confusion, Kerouac wrote about attaining it: Ray left Desolation Peak with a "vision of the freedom of eternity" that was his "forever".82 To underline it, he added: "The chipmunk ran into the rocks and a butterfly came out. It was as simple as that".83 Yet within months of his book coming out, he felt too "ashamed" to visit Snyder, wailing "I'm so decadent and drunk and dontgiveashit".84 He soon got desperate. "I need Gary's way now," he pined, without pursuing it. "This is serious. I'm mad. There's no hope".85 A decade later, he had drunk himself to death. The Transcendental Club was a forebear to the Beats. A century earlier, Ralph Waldo Emerson and his New England peers had got absorbed in Eastern teachings. Disaffected with industrial society and its materialism, they sought an "original relation to the universe" in their surroundings.90 As Henry David Thoreau said: "heaven is under our feet as well as over our heads".91 Transcendentalists accessed oneness by blurring boundaries between a seer and the seen. This mystical fusion prefigured Theosophy and New Thought, and their quest for the experiential basis of religion. These ideas were reflected in India, where Hindu reformers also focused on experience.92 Cross-cultural dialogue peaked in 1893, at the World's Parliament of Religions in Chicago, where delegates forged new links between traditions. Among them was a Japanese master, Shaku Soen, whose speech was translated by Suzuki. "To stop the flow of life and to look into it is not the business of Zen," Suzuki said. "Satori is attained in the midst of it and not by suppressing it".107 His work misrepresents zazen and shikantaza (practices of "just sitting"), and neglects such figures as Dogen, the founder of Soto, Japan's main sect, which would later establish a centre in San Francisco (under Shunryu Suzuki; no relation). Early books also left out "essential information about the relation of Zen to Chinese Taoism," noted Watts,108 who nonetheless revered Suzuki. In the latter's take on history, Ch'an was reduced to "more or less a mere name", defiled by devotional chants from Pure Land Buddhism.109 "It was the koan that saved Japanese Zen from total annihilation", and gave minds a structured way to see beyond themselves.110 Snyder's first koan was to show how his face looked before his parents met.111 His answer took more than a year. Snyder questions Suzuki's "intellectual" style,114 which shows no sign of disappearing. It endures in the bestselling books of Eckhart Tolle, who spent two years as a dharma bum "sitting on park benches" before getting rich off The Power of Now.115 It also drives corporate mindfulness, selling meditation to army sharpshooters, like the Samurai of yore, and to bankers as "disruptive technology" for "brain hacking" fortunes.116 In theory, Zen reveals the world is one. In practice, man-made climate change is rampant. So much for the "revolutionary spirit" Suzuki claimed was part of Zen.117 It might help free our minds, but where that leads is up to us. Arthur Waley, "History and Religion," Philosophy East and West, Vol. 5, No. 1 (1955), p.78.